INTERNET MARKET VALUE PRICING at Harris Oceanside Chevrolet Buick GMC in Parksville. Our Internet market value pricing is achieved by polling third party web sites on a daily basis. This insures ALL of our customers receive a REAL TIME market value price. We feel a vehicle's value is determined by its demand and availability, not by what we paid for it. or how long we have owned it. Therefore, we DO NOT inflate our pre-owned prices in hopes of winning a negotiation contest. In addition, every pre-owned vehicle comes with a free Carproof Report. Check out our pre-owned inventory or contact us with any question. 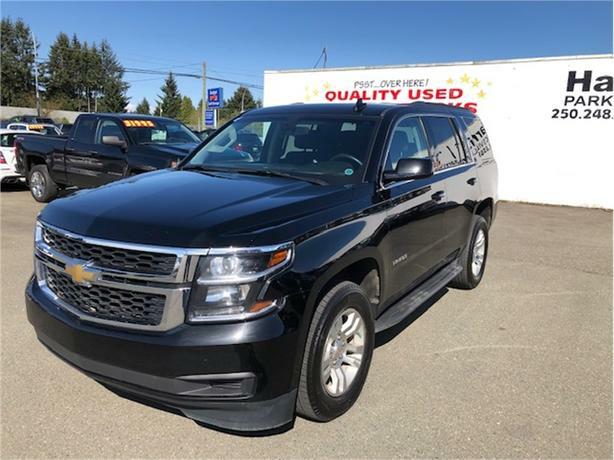 Chevrolet Tahoe for sale at a dealership near Parksville Qualicum Beach.